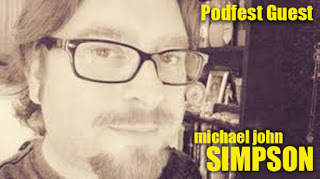 Michael appeared on episode 117 of the Succotash podcast with Marc Hershon whilst attending the Los Angeles Podcast Festival. We chatted about The Something Something Experience, podcasting, and comedy. Have a listen, it’s #PodcastDay! Hey everyone, it’s International #PodcastDay! Please listen to a #podcast today. It doesn’t even have to be The Something Something Experience, but it would be nice if it was. Michael chatted with Los Angeles stand-up comedian Shannon Corder about standup comedy, day jobs, To Be Takei, growing up with ADD, internet rabbit holes, and her upcoming show at The Comedy Store on October 24. Michael attended the Los Angeles Podcast Festival and sat down to chat with actor and comedian Wayne Federman about Six Flags, podcasts, James Bond, Wayne’s career, and his upcoming comedy retrospective called, The Chronicles of Federman coming out October 16. Michael attended the Los Angeles Podcast Festival while Kitty Brown was preparing for Wasteland Weekend. Michael podcasted with several independent podcasters at the festival: Patrick Foss of Repeat All, Aaron Brodkin of What the Pod F Bang Bang, Will Runion of, Scrambled Brains and the upcoming Lake Kinnikinnick, David Spencer of Thank You, Internet, Emil Grecian and Morgan Pratt, Shawn Marek and Jen Stansfield of Worst Collection Ever, and Marc Hershon of Succotash.